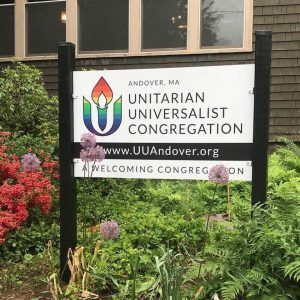 From the Sunday after Labor Day to the third Sunday in June, our worship services are held every Sunday morning at 10:30am at Six Locke Street in downtown Andover and usually last about one hour. During the summer our informal services are held every Sunday morning – except the first Sunday in July – at 9:30am. Religious Education is not offered during the summer. Check our calendar on the right side of this page for a schedule of upcoming services and other events. Or view the full calendar here. Here are directions, parking information, and a map. What do adults wear to services? Dress is casual. You are welcome just as you are! Yes. Handicap parking is available and the worship place and restrooms are wheelchair accessible. What do children do during the service? We provide childcare for children under four. Children four and older usually stay for the first part of the service, including a “Story for All Ages.” Then the children go downstairs to their Religious Education classes, or child care for younger ones. See our Religious Education page for more details. Note: Child care is not provided during summer services. Average Sunday attendance ranges from 30 to 50 people. We encourage visitors! What can I expect to see and do when I arrive? In addition to on-street parking along Locke Street, there’s more on-street parking right around the corner on School Street and Main Street. As you enter the building, there’s a restroom to your right and downstairs, to your left. In the foyer is a guestbook, which you are welcome to sign. You may also make yourself a name tag, if you wish. Before you enter the worship space, a greeter will hand you an order of worship. Find a seat. If it’s crowded, late, or you need assistance, a greeter will be happy to help you get settled. Starting at 10:25am, we close the doors to the worship space and observe five minutes of quiet meditation before the service begins. Service begins with an opening piece of music and the sounding of our singing bowl. A younger member of our congregation is invited to light the Flaming Chalice. While the format can vary considerably, a typical service will include readings, singing, quiet meditation, an opportunity to share joys and sorrows, a sermon by the minister, the morning’s offering, and announcements. At the close of the service, chairs are folded and hymnals are put away, and our worship space is transformed into a room for fellowship and refreshments. Yes! Female, male, non-binary, young, middle-aged, old, gay, lesbian, bisexual, transgender, queer, straight, or cis gender, you are welcome here. Whether temporarily abled or disabled; whatever your skin color, cultural background or nation of origin; whatever your political persuasion or day-to-day occupation, you are welcome here. Yes – theist, atheist or agnostic; pantheist, Pagan, Jewish, Humanist, Christian or Buddhist, whatever ways you name sacred things, you are welcome here, just as you are. Can I meet the minister? Of course! Rev. Kali Fyre has office hours by appointment. Please call or email Kali. She would be happy to meet you at a time and place that works for you. There are no prerequisites to becoming a member of our congregation. All that is formally required is a signature in our membership book. Of course, signing one’s name to say “I belong” can mean different things to different people. The reasons for joining and the meanings of membership are as varied as the people in our congregation. If you are willing to commit to being a part of our congregation family, we want you to be a part. What if I don’t see my question answered here? 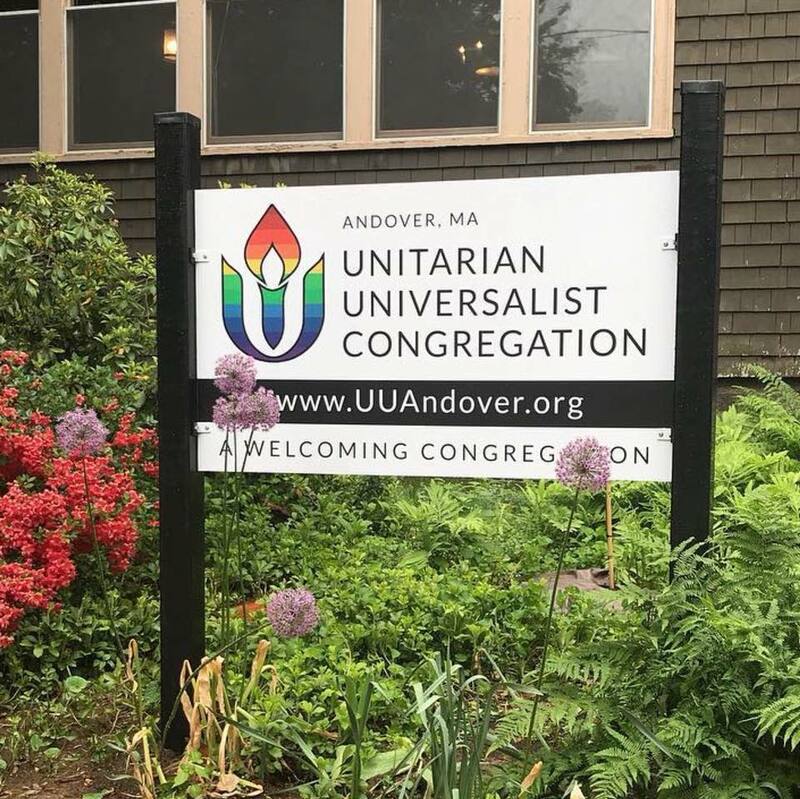 Please email us at questions@uuandover.org.